​It’s difficult to imagine an industry that’s as far-reaching and complex as the processing of industrial metals and minerals is. Though general concepts may remain the same, each material requires precise handling knowledge, and there is very little carryover between sectors. As an emerging online industrial metals & minerals processing news outlet, the goal of this site is to hone in on the challenges faced by process engineers, managers, and other facility decision-makers, and provide actionable, cost-effective solutions. ​Find out about global regulatory changes that impact facility operations and the latest Metals & Minerals Processing News. Policies involving employee health are stringent, and new expectations for safety are added on a routine basis. On the pages of this site, information regarding existing regulations, as well as potential changes will be available, to help facilities make smooth transitions into compliance. Environmental regulations have also been of huge concern historically, though ongoing advances in testing and technology have increased restrictions and requirements immensely. These policies will be examined, and potential cost-effective solutions will be detailed to make it easier to make the best decisions for individual facilities. Read the latest global industrial metals & minerals processing news. To keep those who oversee facilities in-in-the-know, news and events will be covered as they unfold across the world. In an effort to provide helpful answers and solutions to both common and unique issues that facilities face, products will also be showcased. This also ensures that decision-makers can make a swift and informed cost-benefit analysis on integration. As new processing techniques and technological advancements become available, they will also be highlighted to provide professionals opportunities to cut costs or improve efficiency. Get information on the various facets of facility management and operation. 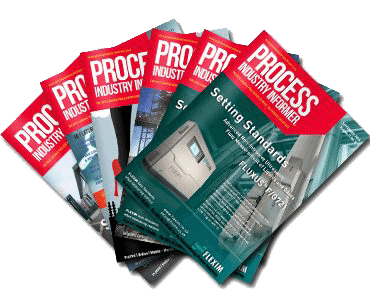 All the information professionals need can be found in one industrial metals & minerals processing magazine. Please bookmark this site now to ensure quick access to these valuable resources. As new developments occur within the industry, fresh articles will be added to ensure the content provided contains the most up-to-date and relevant information possible. As the site develops further, additional pages will be also incorporated into the archives, to create a vast library of helpful solutions and answers for those who oversee facility activities.